New Year’s Day is the oldest and most universal holiday. Throughout early history, cycles of planting and harvesting provided a primitive way to keep track of years. For many cultures, the new year was celebrated in March on the vernal equinox when the sun crosses the equator in the spring and when night and day are of roughly equal length everywhere. The Romans were the first to observe Jan. 1 as New Year’s Day in 153 B.C., according to Hallmark research. Julius Caesar developed the Julian calendar in 45 B.C., retaining Jan. 1 as the beginning of the new year. In 1582, Pope Gregory XIII instituted the Gregorian calendar still in use today, keeping Jan. 1 as New Year’s Day. New Year’s Eve is always celebrated December 31; New Year’s Day is always January 1. New Year’s Eve is the largest one-day party event of the year. Because the earth is divided into time zones, the first partiers to usher in the new year are just west of the International Date Line in the middle of the Pacific Ocean. 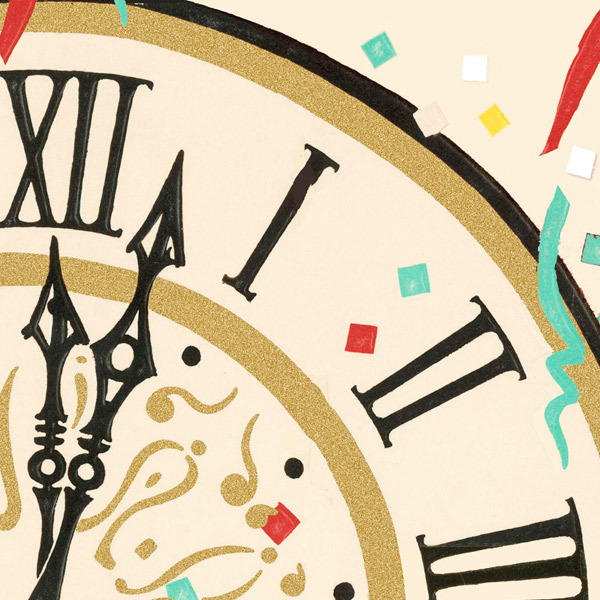 “Auld Lang Syne” is the traditional song sung at the stroke of midnight on Jan. 1. The song, which translates as “old long since” or, roughly, “the good old days,” was written by Scottish poet and lyricist Robert Burns in 1788. Hallmark first made New Year’s cards in 1915.